When morning has barely broken, I sneaked out of the hotel to explore around. No knowing what I would find. 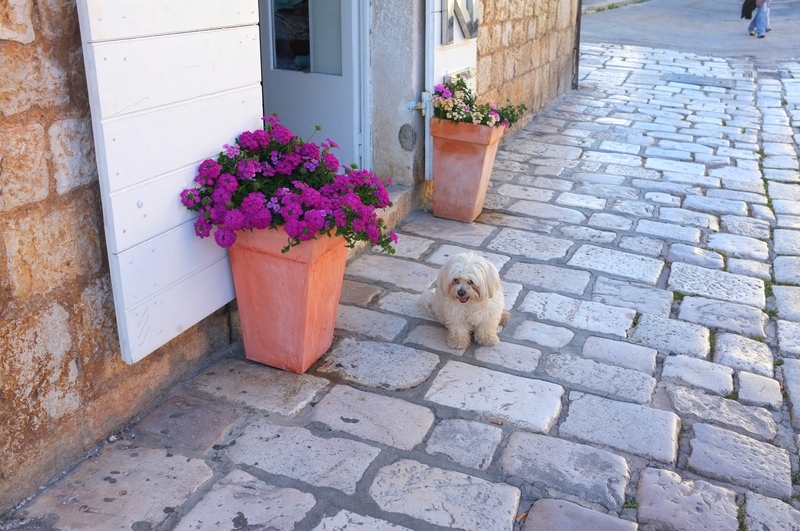 The Hvar town is small and cosy enough where you can watch how residents (including pets) spend and enjoy their time on the island. Early in the morning, a fisherman is already in his boat, making preparation for his daily catch. 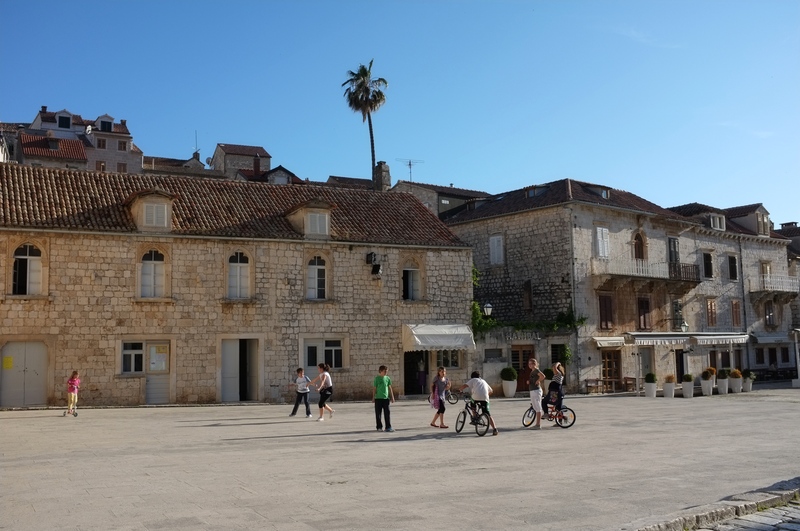 The town’s main square was coming back to life. The square was still basically empty except for a dog and some early workers. 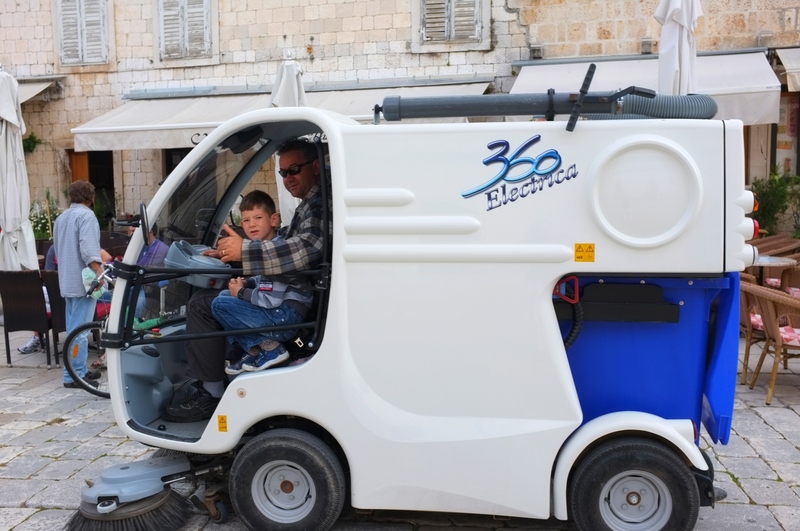 Then came this electric car for sweeping the town’s pavement. The father has started driving around bringing his little boy to work. I waved to him and he put his thumb up! This cute little puppy has just awakened; loitering around the shop door, playing around and looking very lovely. This little boy is lying on the marble (actually limestone) paving, trying to catch fishes with his bucket. Throughout the whole period I watched, he was not successful in catching any! 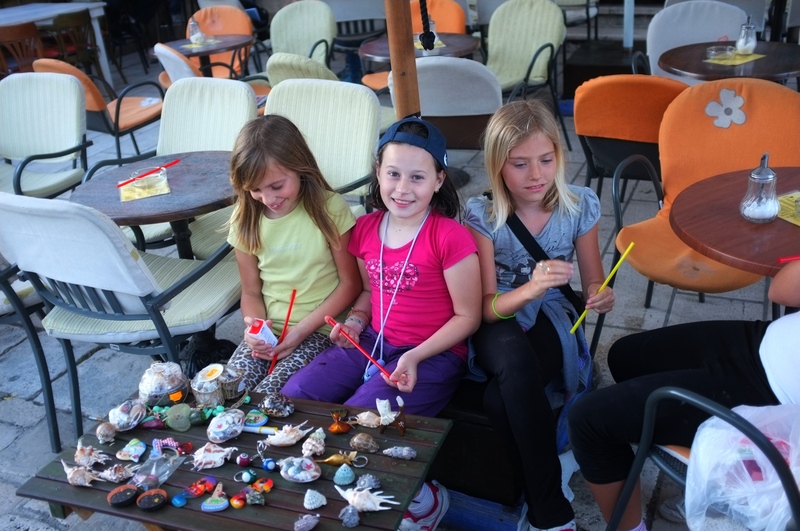 Shops started to open, these three smily but shy little girls tried to sell sea shells as souvenirs. 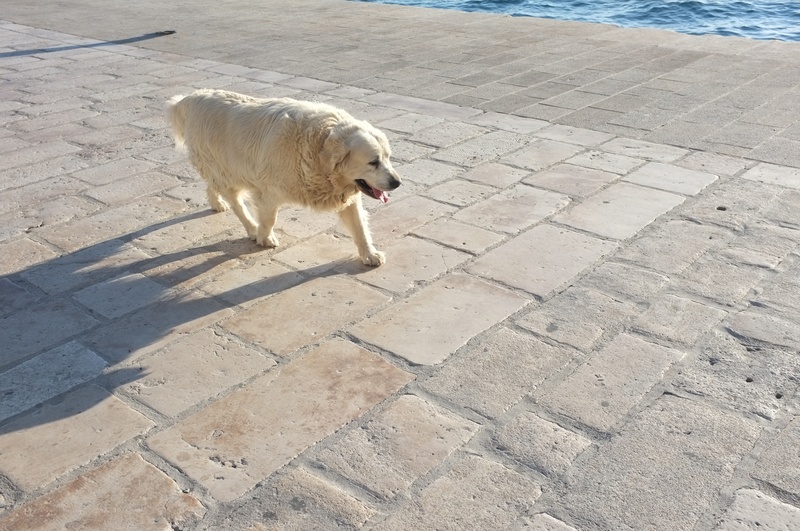 In the afternoon, it was getting pretty hot, this white dog couldn’t stand the heat and was seen panting on the white marble paving. Two little boys were seen fishing along the seafront. They succeeded in catching some fishes and attracted some tourists watching. 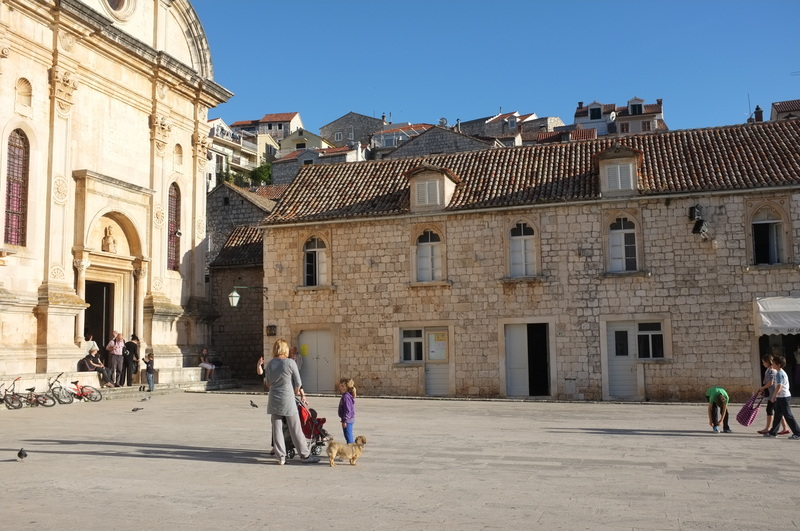 The main town square is a meeting place for people; it is also a playground for kids. The Cathedral of Saint Stephen is located on the eastern edge of the town square, and overlooks the collection of cafes and restaurants that encircle the piazza. While it is common to see elsewhere that space is being eaten up or encroached for touristy uses ; for instance, cafes and restaurants. This town square still leaves sufficient space where kids come out with their bicycles, skateboard. Mum walks the dog and pushes the pram. 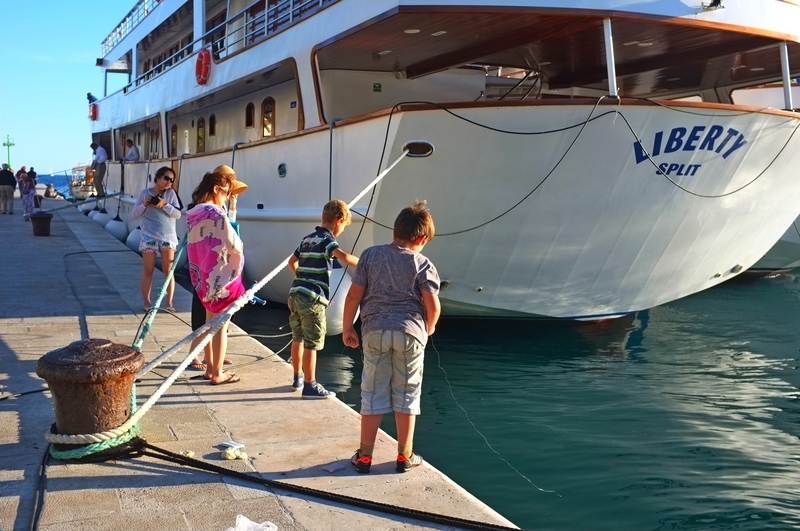 There is so much life on the Hvar island. 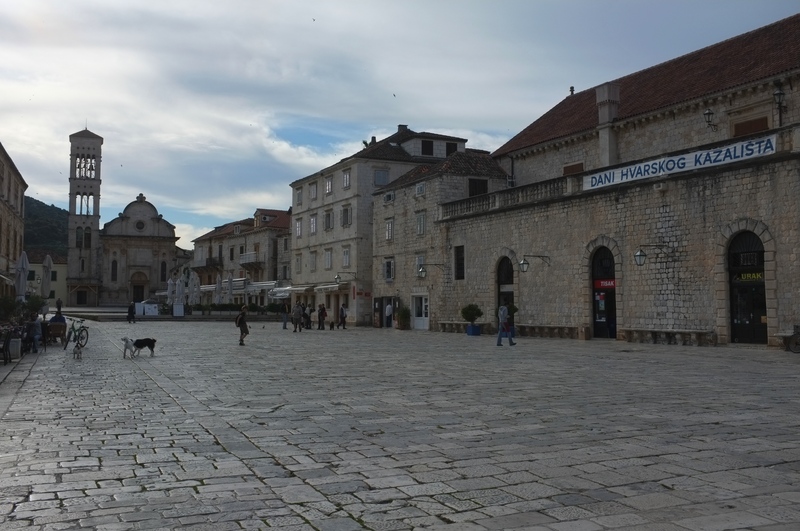 The several days of staying in Hvar has allowed us to see how people live and enjoy their time. It was a lesson to show how enjoyable life can be if taken slowly. 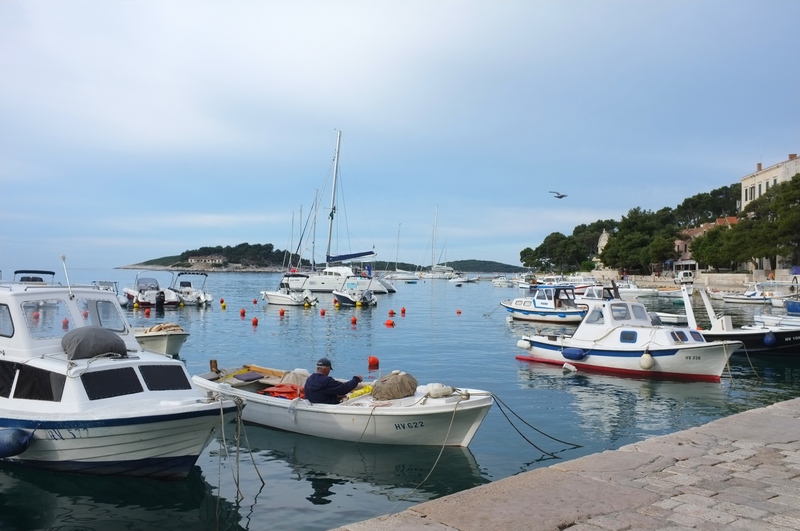 The inhabitants of Hvar certainly seem to understand the art of total relaxation.